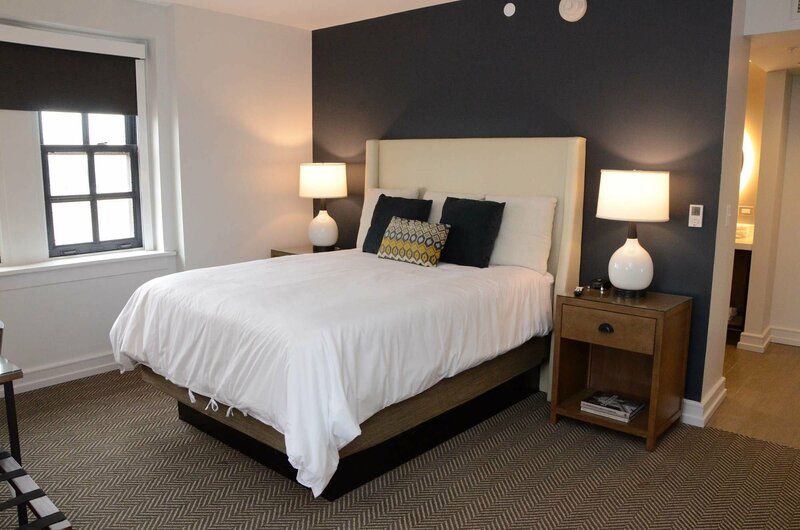 The Executive Floor Northeast Corner Queen Room sleeps two persons and features a queen bed. 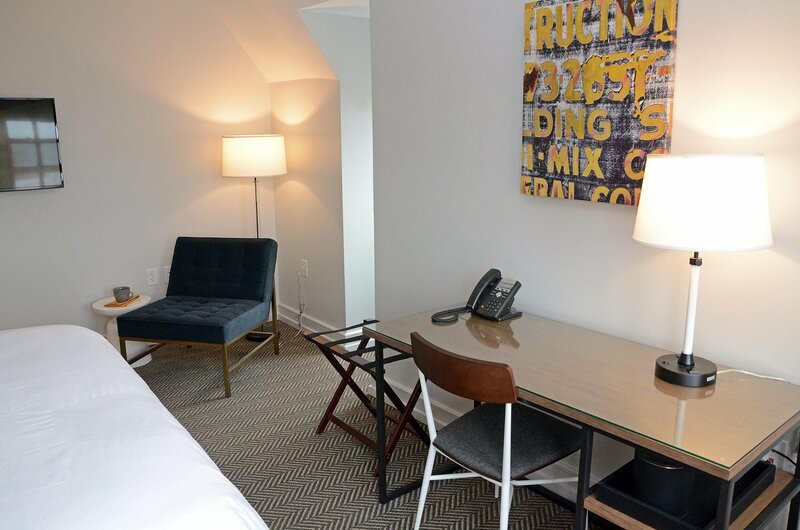 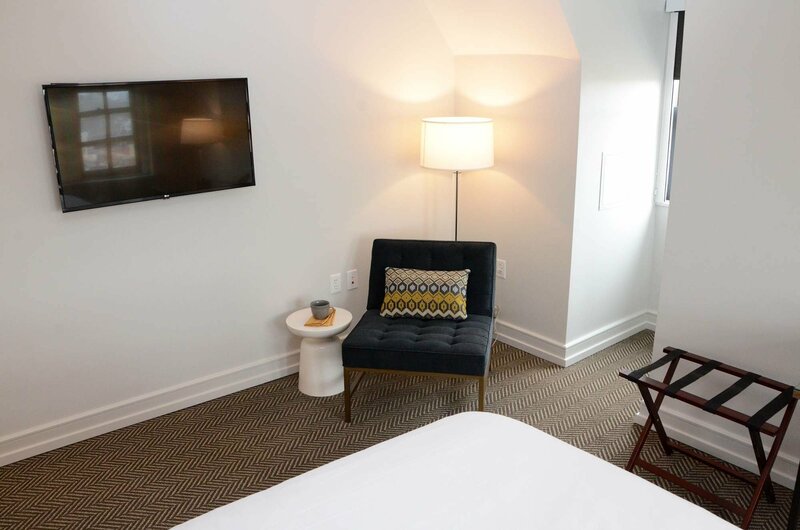 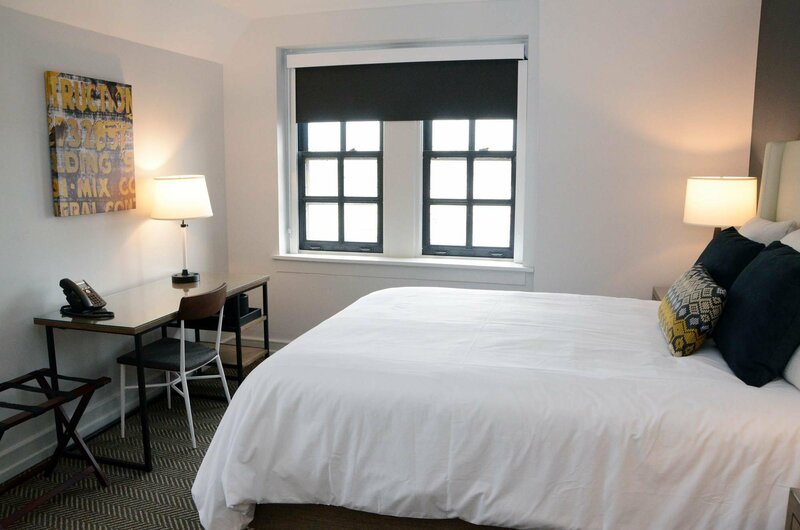 This room has a 43” wall-mounted flat screen TV, blackout shades on all windows, a writing desk, and comfortable seating. 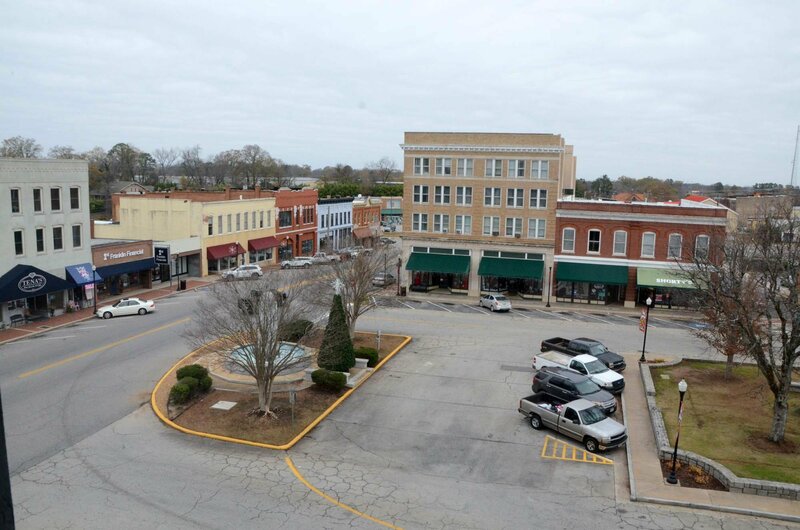 The northeast-facing view overlooks the Public Square and several historic buildings of downtown Elberton.